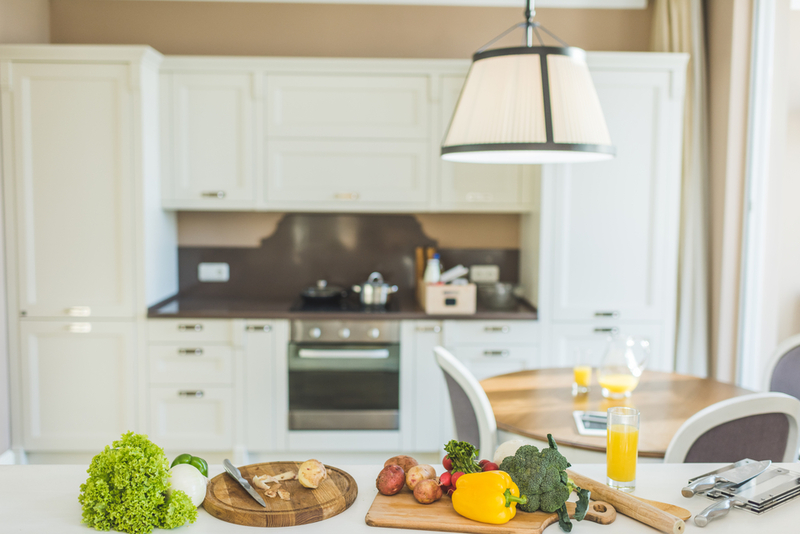 You may not know it yet, but you’re probably eating out a lot or ordering food deliveries more than you should because your kitchen lacks some inspiration that spur you to cook. This is strange because you do not need lots of money to come up with a comfortable and inspiring culinary space, which can add value to your property. Like you’re about to find out, it is all about creativity. It is also about making the most of the space you have. Improve one or two key areas and you’re good to go. Ignore the key areas and you will have your kitchen as your least favorite space. You will have to put up with minor yet fixable inconveniences in the kitchen, a setback that will dampen and eventually kill your desire to prepare meals at home. Here’s how to avoid that experience. Space is everything when it comes to a good kitchen. This does not mean you’re doomed if kitchen space is a luxury you cannot afford. Your space may make it hard or even impossible for you to put up a kitchen island. That’s where a portable workstation comes in. You can create one from any cart which can roll from place to place. Push the cart into the kitchen while working then push it somewhere else when you’re done using it. In order to create extra counter space for all your mixing and chopping needs, take advantage of vertical space. Install a firm pegboard to help you hold everyday utensils like the pan, pots, and wire baskets. As you do this, find more unused storage spaces by the side of your refrigerator or even inside cabinet doors. Sometimes all you need to do to change the mood in the kitchen is to change the lighting. Go for decorative lighting not just to improve your kitchen’s curb appeal but to also make it easy for you to see what you’re doing when preparing a meal. Remember that decorative lighting will enhance your kitchen décor as much as new paint will. Go for vintage light fixtures if you’re into classic kitchen themes. For a modern look, go for chic industrial pendant lights. The kitchen is by far one of the most functional spaces in a home. This does not mean it cannot be eye-pleasing or inspiring. With that in mind, take time to add some fun into your culinary space with appealing and cheerful colors. For your accessories, cabinetry, ceilings and appliances, toss a colorful rug on the kitchen floor or hang some artwork on the wall. Another visually stunning yet functional tip to get the most of your culinary space is growing some herbs on the window sill. This comes along with an array of perks. First off, your cuisine will benefit from fresh, home grown ingredients. It will also enhance the look and feel of your kitchen and make it smell great even when you’re not busy concocting a tasty culinary delight laced with your very own fresh herbs.